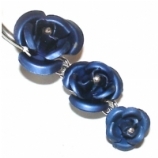 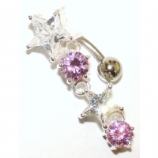 This section features our range of sterling silver navel bars. 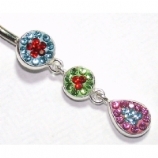 The bars in this category all have sterling silver decorations and either surgical steel or titanium internal bars - sterling silver is not a suitable material for the internal bar as it oxidises and could cause irritation. 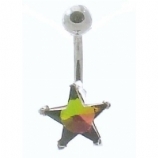 Many of the bars in this section are available in sizes 8mm, 10mm and 12mm. 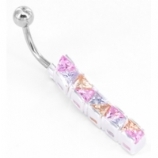 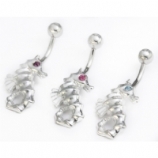 Popular choices include dragonfly navel bar, through-the-navel lizard belly bar and the unusual squiggle navel bar.